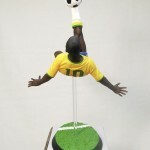 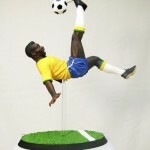 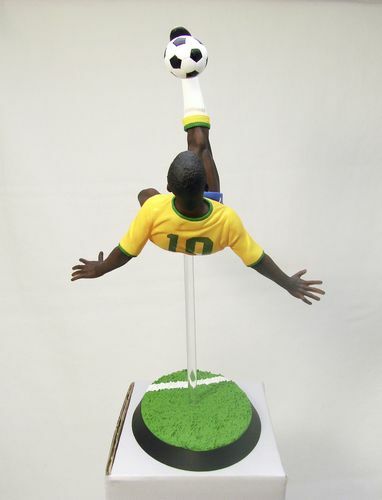 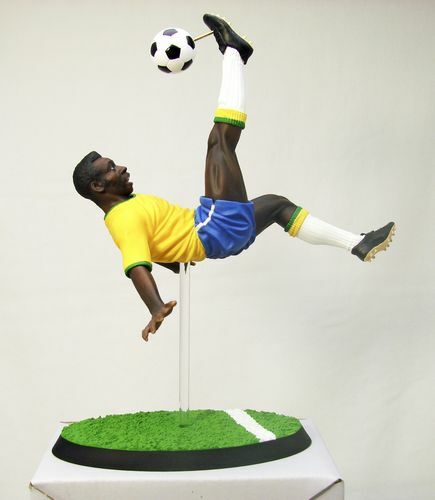 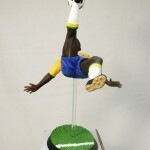 Kotobukiya has sent along a few photos of their upcoming Pelé statue. 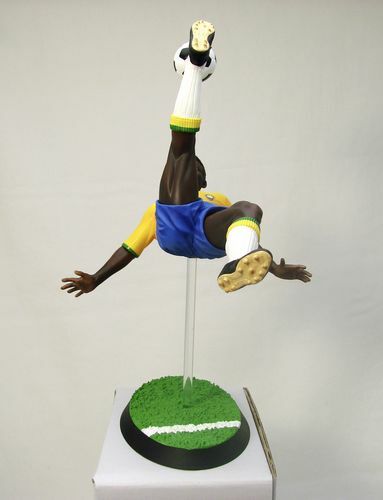 The statue will ship in May at a price of $24.99. 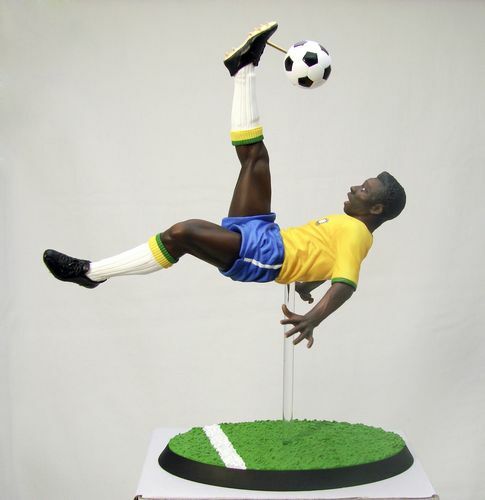 Edison Arantes do Nascimento, KBE (born 23 October 1940, Três Corações, Minas Gerais), best known by his nickname Pelé (Brazilian Portuguese pronunciation: [pe l ɛ], usual English pronunciation: / p ɛleɪ/) is a retired Brazilian football player. 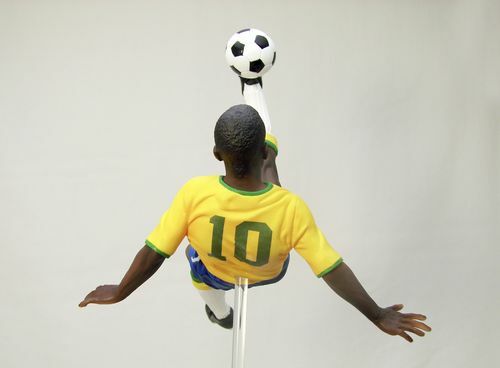 While his birth certificate shows his first name as Edison, and he prefers to call himself Edson, it is as Pelé that he has become a sporting legend. He is widely regarded by polls among football experts, former players and fans as the greatest footballer of all time. 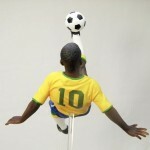 Click the headline of the story for a few images.